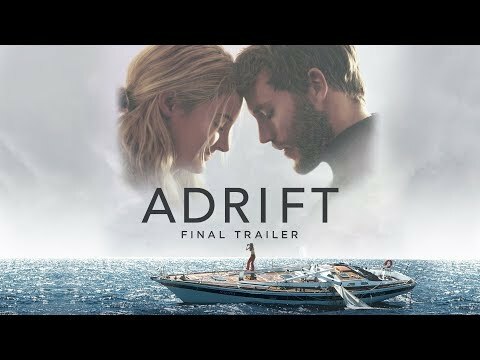 The film Adrift (2018), starring Shailene Woodley and Sam Claflin, tells the story of two sailors who manage to survive some incredible odds. A seemingly standard harrowing Hollywood premise, the film is actually based on the true story of Tami Oldham. At only 23 years old, Tami Oldham Ashcraft survived being lost at sea for 41 days after a hurricane ravaged her boat and killed her fiancé, Richard Sharp. She sailed 1,500 miles in a battered yacht, somehow keeping herself alive after the devastating hurricane by repairing the boat and setting a course for land. Oldham faced 41 days of unimaginable physical and emotional turmoil, at some points even hallucinating and hearing voices. But her tenacity and sailing experience allow her to make it to Hawaii alive, against the odds. The film adaptation of the Tami Oldham and Richard Sharp story stays pretty faithful to their ordeal – but, of course, with some Hollywood license taken that suggests it may not be entirely as somber. The Tami Oldham Ashcraft survival story is one of sheer grit and determination to live – a struggle that continued long after the ordeal itself. The major difference between the movie and real life appears in the trailer: Richard Sharp survives the storm. In real life, he was torn from his safety harness by the waves and Tami Oldham never saw him again. But in the movie, she finds him in the water the next day, clinging to a life boat, badly injured but alive. While this looks like a huge departure from the true story, subtle hints tell viewers that things may not be as they seem. In the trailer, Sharp mentions how hallucinations are common when you sail alone. So it remains open to possibility that Oldham simply imagines Sharp is still there with her. Twenty-three-year-old Tami Oldham and her fiancé, Richard Sharp, had been sailing together around the South Pacific Islands for about six months when they received a job offer in September 1983. The owners of the Hazana, a 44-foot yacht, wanted Oldham and Sharp to sail it from Tahiti to San Diego, a journey of 4,000 miles. As avid sailors, the couple agreed to take on the delivery of the boat – a decision that would permanently change the course of their lives. In October 1983, Hurricane Raymond thrashed the Pacific Ocean. The Category 4 storm produced 140-knot winds and 40-foot high waves, an extremely dangerous situation for a 44-foot yacht to sail into. Tami Oldham and Richard Sharp underestimated the severity of the storm, and after initially trying to outrun it, they tried to swing north to avoid its path. As hard as the couple fought against the hurricane, it simply overwhelmed them and their boat. With the storm worsening, Richard Sharp told Tami Oldham to go below deck. As she went below, she heard Sharp scream before the boat pitched forward. She smacked against the wall and fell unconscious for 27 hours, waking up to find the storm over. But when she went looking for Sharp, she only found his safety tether hanging over the side of the boat. Oldham was heartbroken, but didn't have time to properly grieve for her husband-to-be. She put her feelings aside and pushed through the tasks needed to be done for survival. She spent the next 41 days repairing and sailing the yacht on her own, eating canned food and peanut butter and charting her course home.